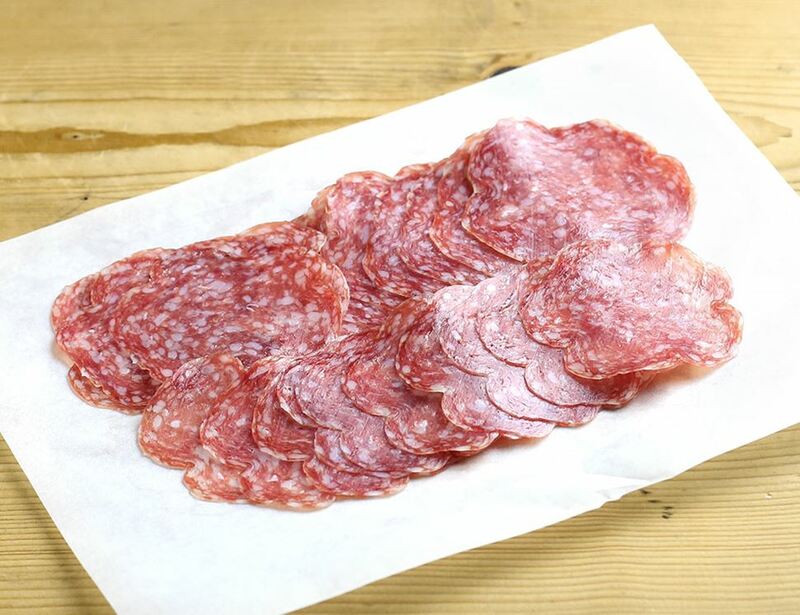 This classic Italian salami is made from a combination of lean cuts and pork fat minced to a fine grain. It's seasoned with black and white pepper, a touch of garlic and is then aged for 1-2 months. Italian pork meat*, sea salt, cane sugar*, spices* * = produced to organic standards. For allergens, including cereals containing gluten, see ingredients in bold.